Part of the human experience is to encounter and overcome obstacles. We've all faced problems in the course of our lives. Most of us solve problems using the same methods that have worked for us in the past. As we grow older and wiser, this seems to work pretty good. But when it doesn't work, it can lead to spectacular failures. This can be very frustrating and sometimes even paralyzing. We get stuck; unable to move forward with our lives. So, what do you do when you can't solve a problem? Do you keep on trying the same old thing over-and-over again, expecting a different result? That's crazy. We think these setbacks can be catalysts for opening new doors. These disruptive experiences can be viewed as opportunities to improve your cognitive abilities. This could be a great chance to learn how to get your thinking to serve you better. If you've been unable to solve a problem and are a little frustrated, we think this may be a good time to take a step back and take a fresh look at some of the fundamentals of problem solving. If you asked 100 people to define 'problem solving', you may get 100 different answers. 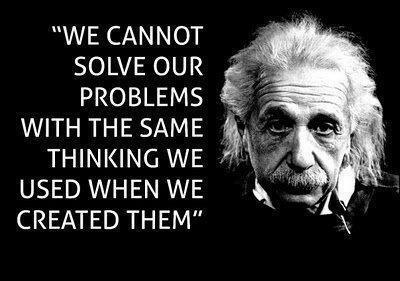 This is because problem solving means different things to different people. Webster Dictionary defines problem solving as: "Process involved in finding a solution to a problem." Most definitions of problem solving share three elements: 1) problem, 2) solution, and 3) process. The 'problem' and 'solution' elements of these definitions are self-evident, so that leaves us with some ambiguous and undefined 'process'. There are many descriptions of the problem solving process out there. Most are simplistic or specific to the domains in which they are used. A universal definition of the problem solving process needs to include both the internal (cognitive) and external (real world) activities that are going on. DOWNLOAD: Word version of Problem Solving Model.docx (Click link to download Word version). DOWNLOAD: PDF version of Problem Solving Model.pdf (Click link to download PDF version). Why do we fail at problem solving? You need to add more and better information. You need to validate your existing information. • Your regular methods aren’t working on a particular problem. Surface, test, and improve your mental models. 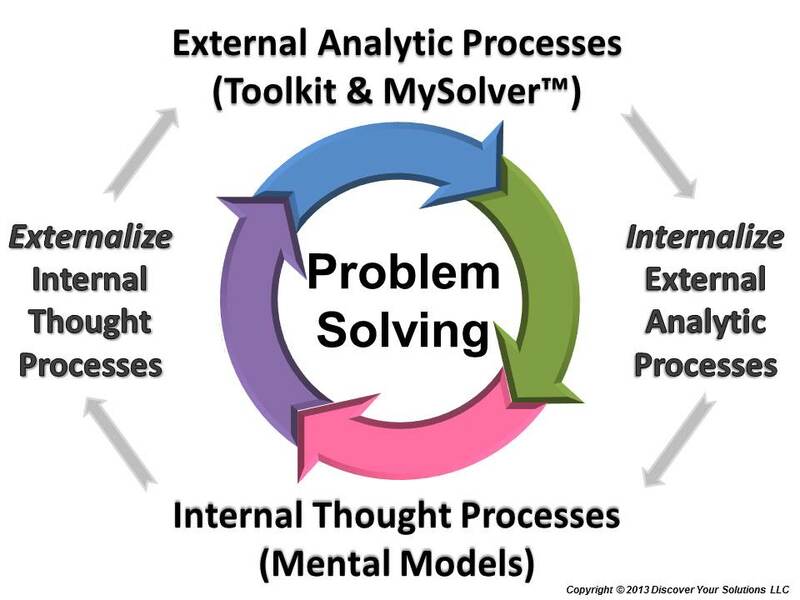 We recommend that you improve your information, methods, and mental models by using problem solving processes that include structured analytic methodologies, such as, MySolver™ and Toolkit. Structure is probably the most fundamental element in problem-solving. Its importance can not be over-stated. Structuring begins by identifying all the items that need to be considered in your analysis. 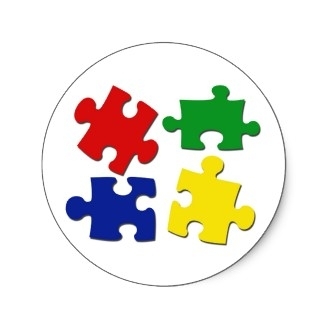 Think of it like a puzzle, before you begin you should have all the pieces of the puzzle out on the table. You can start structuring by listing all your Factors. The next step in structuring is to describe your data. Data does not describe itself. You need a system for describing your data to make your structuring efforts efficient and effective. Determining Major Categories is an example of describing your data. 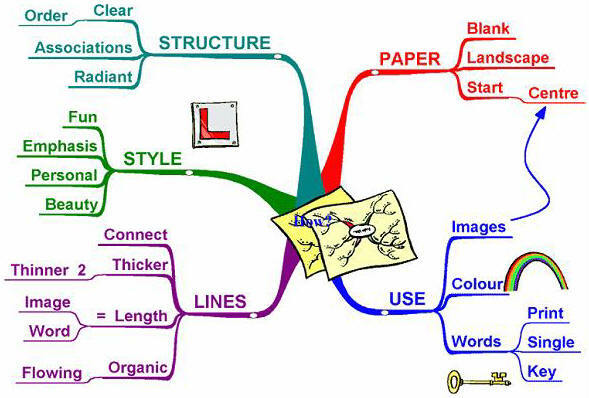 You may want to create visual representations of your data structure, such as a Mind Map. 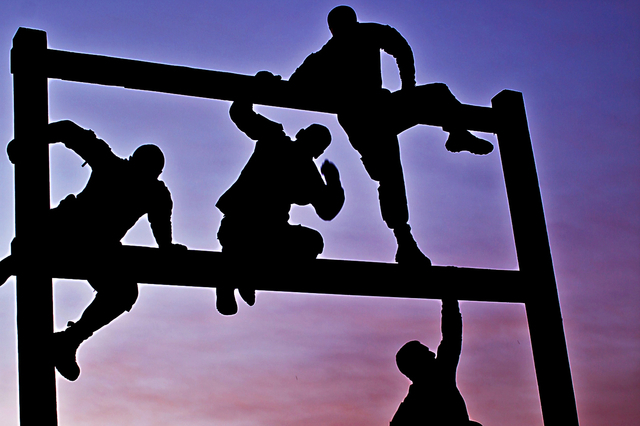 The concept of structuring pervades problem-solving. Understanding the structural elements of your problem will help you better understand the problem itself. The structure of your 'solution' is important, too. This is because certain elements in the structure of your problem will be shared by your solution. In-other-words, there's a 'mirroring effect' between the structure of your problem and the structure of your solution. 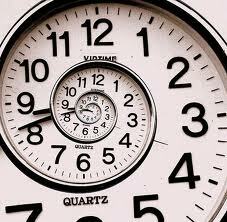 Time may be the most enigmatic aspect of problem-solving. With nearly unlimited quantities of time, almost anything seems possible. When time is short, your options may be very limited. There are structural elements of your problem directly related to time. You can list the events and actions of the past, present, and future in a Chronology or visualize them with a Timeline. As in life, problem-solving happens on a time continuum. Your problem has been traveling on a path through time. It originated somewhere in the past and your solution resides somewhere in the future. Now your problem is here, at this point in time, in its present state. The choices you make next will most certainly determine what trajectory you'll travel on. Will you move in a direction closer to your solution or not? Using our tools will take some of your time. This is because our tools are very thorough and are designed to tackle life's most challenging problems. We recommend that you use our tools after you've exhausted your regular methods for solving your problem or when the cost of failure is just too high. 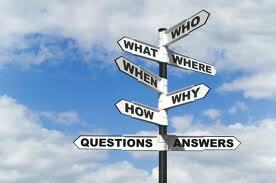 Interrogatory words include the age-old journalist's list of: Who, What, When, Where, Why, and How. Plus, we've added add a couple more - From Where and To Where. 'From Where' and 'To Where' are modern forms of the archaic usages of 'whence' and 'whither'. We've included these because some	aspects of Time can not be accounted for by using just 'When'. Adding 'From Where' and 'To Where' establishes a completeness in questioning that better incorporates the time continuum. 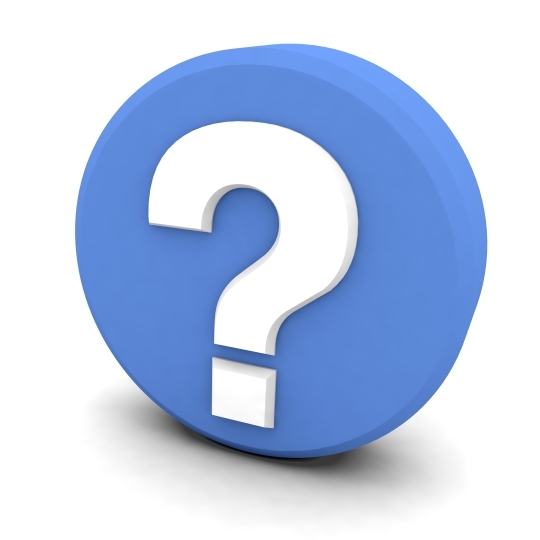 Interrogatory dimensions are different from interrogatory words or interrogatory questions, in that they also include the answers to those questions. This is very useful because now you can describe all of your 'Objective Data' with an Interrogatory Dimension. This adds an important structural element to your analysis. Predispositions are the personal thoughts that we are predisposed to. These include our: Intentions, Expectations, Assumptions, Intuitions, Opinions, Conclusions, Judgments, Beliefs, Hopes, and Gut Feelings. To make sure your analysis is complete, you should always examine each one of the ten types of predispositions for each major category and each possible solution. In-other-words, this is one of the methods you use to make sure your analysis is complete. "A mechanism to externalize the internal thought processes into a systematic analytic framework that can be built upon." As the diagrams below show, building structure is at the heart of our problem solving system. The 'Model of Analytic Processes - Objective Data' is a conceptual model designed to show how Objective Data structures can be developed over time. DOWNLOAD: Word version of Model of Analytic Processes - Objective Data.docx (Click link to download Word version). DOWNLOAD: PDF version of Model of Analytic Processes - Objective Data.pdf (Click link to download PDF version). Look at each axis in the diagram. As you can see, Structure is the vertical axis and Time is the horizontal axis. As you increase time (or effort), you also increase structure. As the legend describes, the Boxes are the symbols used for 'Data Structures'. Ovals represent 'Processes'. And the Arrows show the 'Process Flows'. 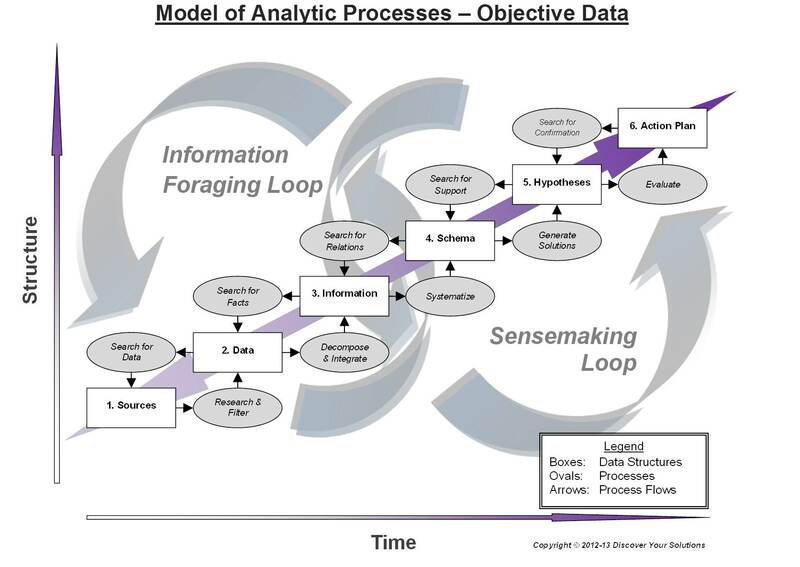 There are two Meta-Processes, the Information Foraging Loop and the Sensemaking Loop. 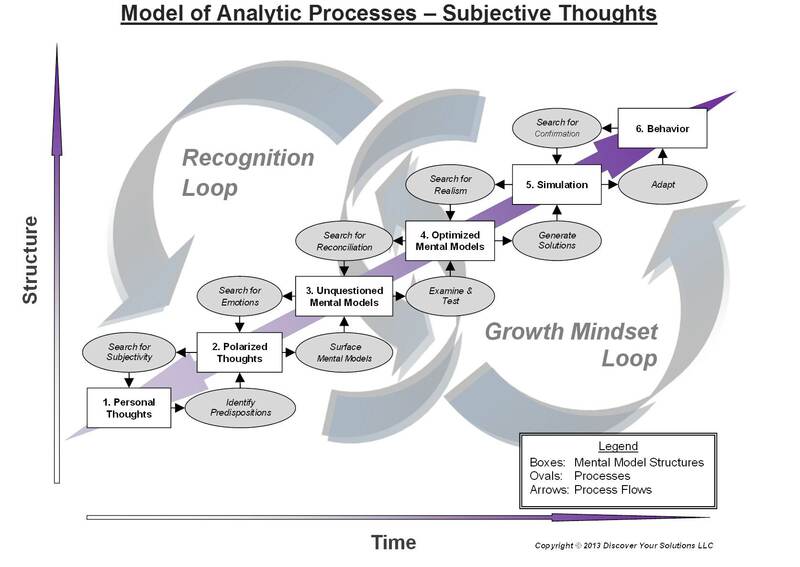 The 'Model of Analytic Processes - Subjective Thoughts' uses the same conceptual model design from the diagram above to show how Subjective Thoughts structures can be developed over time. DOWNLOAD: Word version of Model of Analytic Processes - Subjective Thoughts.docx (Click link to download Word version). DOWNLOAD: PDF version of Model of Analytic Processes - Subjective Thoughts.pdf (Click link to download PDF version). Look at each axis in the diagram. As you can see, Structure is the vertical axis and Time is the horizontal axis. As the legend describes, the Boxes are the symbols used for 'mental model structures'. Ovals represent 'Processes'. And the Arrows show the 'Process Flows'. There are two Meta-Processes, the Recognition Loop and the Growth Mindset Loop. Mental Models are our internal representations of reality. In-other-words, mental models are our reality. Unless we're faced with incontrovertible evidence, we tend to assume that our mental models are accurate. This is because our mental models operate below our level of awareness and remain untested. This is why flawed mental models are such a common cause of persistent problems, by the time we become aware that they're flawed - it's devastatingly obvious. We can transform our mental models by using our reflective skills to reconcile the differences between our mental models and reality. We can improve our ability to solve problems by surfacing, testing, and improving our mental models that are close to our problem. The theory of mental models is radically incomplete. The mental model theory departs from the standard view, which assumes that there is a formal logical or probabilistic calculus in the mind. In other words, the mental model theory runs counter to the view that human reasoning relies on rules of inference and posit rules (i.e. like the steps of a formal proof). Alternatives to the mental models theory include formal rules theories and probability theories. Proponents of formal rule theories postulate that human reasoners can in principle see the force of counterexamples, and indeed people are able to construct them. Although, this competence is beyond the power of formal rules theories to explain. The debate surrounding these issues has been long and fruitful. It has led to better experiments, more explicit theories, and novel computational models. Anytime we analyze a problem we're relying on our mental models to provide us with reasonable solutions. In order to be more sensible about solving our problems, we must recognize the limitations of our own mental models. As stated in the Mental Models section above, our mental models remain fixed until we question them. Unquestioned mental models can certainly lead to problems given the rapidly changing, highly complex, and uncertain world we live in. If we understand that all analysis is based on our potentially fallible unquestioned mental models, then we need an approach that gives us the greatest amount of mental agility and flexibility. Ultimately, it stands to reason that our success or failure to solve our problems may rest with our ability and willingness to question our own thinking. In-other-words, finding your solution may depend on your capacity to challenge your own unquestioned mental models. For our purposes, unquestioned mental models are similar to fixed mindsets. If you allow your mental models to remain fixed, then you'll be susceptible to the same analytic pitfalls that are associated with 'mindsets' and 'groupthink'. However, if you have the ability to grow your mental models as the world changes, then you'll not only avoid these analytical pitfalls but you'll also greatly enhance the opportunities available to you to create effective solutions. The goal here is to develop a 'growth mindset'. This can be done by naturally growing your mental models through the process of continuous learning. The 'Subjective Thoughts - Form' can be used in conjunction with the Predispositions Analysis tool. The purpose of this 7 page form is to analyze your Predispositions and Mental Models. DOWNLOAD: Word version of Matrix Solver Form for Subjective Thoughts.docx (Click link to download Word version). DOWNLOAD: Excel version of Matrix Solver Form for Subjective Thoughts.xlsx (Click link to download Excel version). 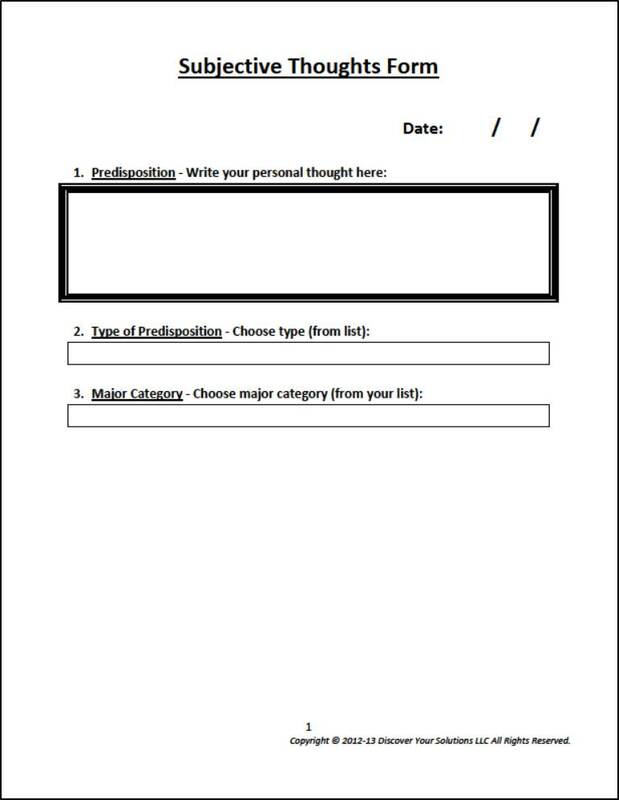 DOWNLOAD: PDF version of Matrix Solver Form for Subjective Thoughts.pdf (Click link to download PDF version). Since most mental models exist below our level of awareness we need a method to bring them to the surface. To be effective, this technique also needs to only target mental models that are closely related to your problem. Our Mindset Detector is designed to surface unquestioned mental models that are in close proximity to your predispositions about the problem. First, you take a predisposition that is pertinent to your problem and split it into its polar opposites. You can do this by creating an extremely positive example and an extremely negative example of your predisposition. Then ask yourself, "I feel that emotion because?" 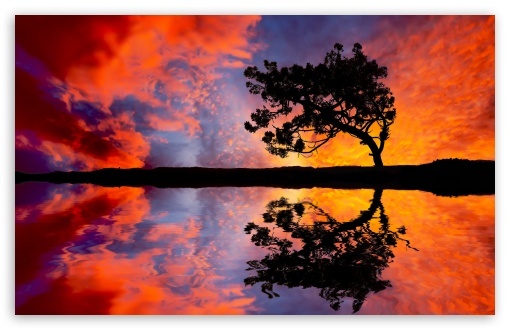 Write down the reasons why you feel the emotion elicited by your polarized predisposition. You may have just surfaced as unquestioned mental model! Mental models remain 'unquestioned' until they are examined and tested. The Mental Model Optimizer is designed to examine and improve your unquestioned mental models. Take an unquestioned mental model. Are you willing to consider that this mental model may be inaccurate? If you answered 'No', then this web site may not be for you. You must be open-minded and willing to consider that your mental models may have flaws for these exercises to be effective. You must be willing to challenge your mental models. List the evidence that supports your unquestioned mental model. List the evidence that refutes it. Do any parts of your unquestioned mental model seem uncertain? Under what circumstances might your unquestioned mental model be untrue? If any part of your unquestioned mental model turns out to be invalid, how much would that contribute to failure? Finally, improve your mental model with new variations, so it more accurately reflects your thinking. Pick predispositions that are significant to your problem or your solution. It's recommended that you thoroughly explore as many predispositions (and mental models) as you can think of. You're going to have to do a little fishing here. Remember, that your unquestioned mental models are below your level of awareness and they need to be surfaced. Also, it's common for several inter-locking unquestioned mental models to be supporting each other. If there are flaws in any one of them, they may all fall like a house of cards. The Problem-Solving Matrix was created from the theories, concepts, and models discussed above. The Problem-Solving Matrix is the design template used to program the MySolver™ database. The columns in the Problem-Solving Matrix generally correspond to the fields in the MySolver database and the rows correspond to the records (i.e. data). DOWNLOAD: Word version of Problem-Solving Matrix.docx (Click link to download Word version). DOWNLOAD: Excel version of Problem-Solving Matrix.xlsx (Click link to download Excel version). 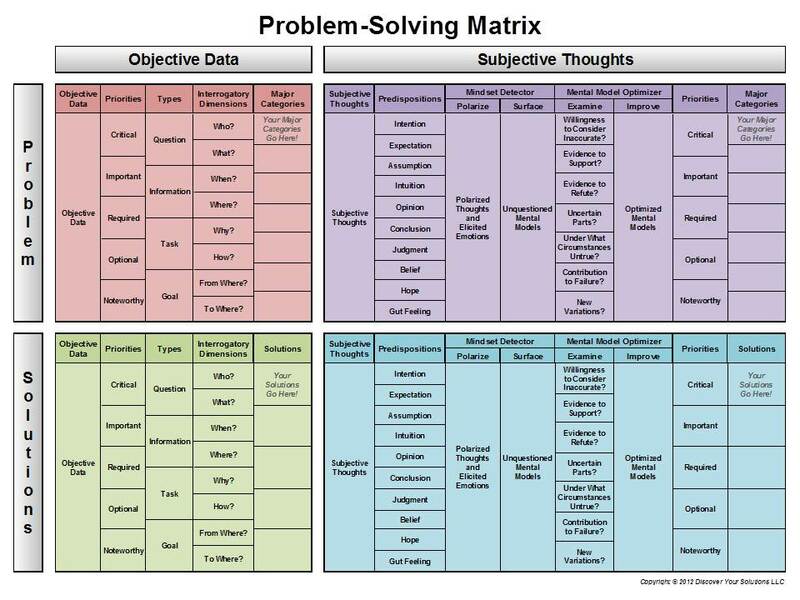 DOWNLOAD: PDF version of Problem-Solving Matrix.pdf (Click link to download PDF version).